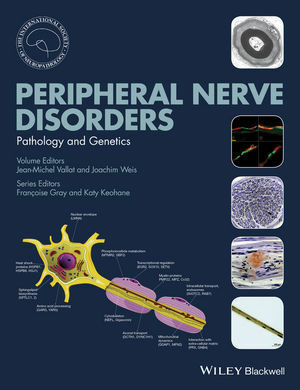 Peripheral Nerve Disorders: Pathology and Genetics is a definitive, clinically-oriented guide to the pathology of peripheral nerve disorders. These commonly seen neurological challenges have many causes and accurate diagnosis is often necessary via pathological analysis. New techniques exploiting molecular biological knowledge have opened up new vistas to understanding the pathogenesis of these disorders, and hence their effective management. This new title takes a disease-oriented approach to understanding the pathology of these conditions. It combines classical and contemporary techniques to enable practitioners in neurology and neuropathology to better understanding of the disease processes underlying patients’ presentations and to formulate appropriate management plans. Peripheral Nerve Disorders: Pathology and Genetics is a valuable resource for neurologists, neuropathologists, pathologists, neurobiologists and geneticists.